All Shinpiden graduates receive FREE post-course online training in personal and professional development, FREE membership to the KI Campus, the opportunity for their students to have access to the KI Campus, a 50 page Shinpiden manual, and Certificates. Suitable For: Level II International House of Reiki practitioners wanting to continue to develop their personal journey with the system of Reiki. There is the potential to work as a teacher after completing this level, although it is certainly not a requirement after completing this level. For those who have not completed Okuden Level II with the International House of Reiki a brief online transition course is a pre-requisite to ensure that the student is up-to-date with the teachings. You will need to have already completed an in-person Level II training (not an online course) to be eligible for the Shinpiden online transition course. At the time of booking your Shinpiden course you will receive the transition course training from our student training site, the Ki Campus. Optional Post-course training: There are two streams of online training following Shinpiden that can be completed within 12 months. One is the Personal Training Program and the other is the Professional Training Program. The personal stream is a pre-requisite to the Professional stream. Undertaking the Shinpiden Lessons which include multiple choice questions relating to the five main elements of the system of Reiki. This includes a 1000 word essay for assessment. Undertaking the Shinpiden Lessons which include multiple choice questions relating to the five main elements of the system of Reiki. Shinpiden is the Japanese word for ‘mystery teachings’. It is aimed at Level II practitioners or established Reiki Masters who wish to continue their personal journey, a journey that is ongoing long after you complete the Shinpiden course. It is therefore not just about teaching and is even suitable for those who wish to simply develop their personal Reiki practise and occasionally teach those around them. Shinpiden students are encouraged to resit International House of Reiki classes for continuing education purposes. A minimum fee may be required. 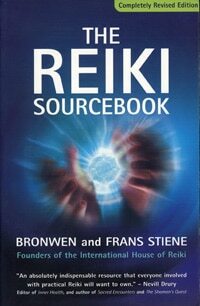 Prior to joining a Reiki Level III course we recommend that you read The Reiki Sourcebook. This book has sold thousands of copies world-wide because it is an honest look at the history of Reiki from when it first began through to the modern day – warts and all. If you want to be able to talk about Reiki to students, friends, and clients you need to know this material.